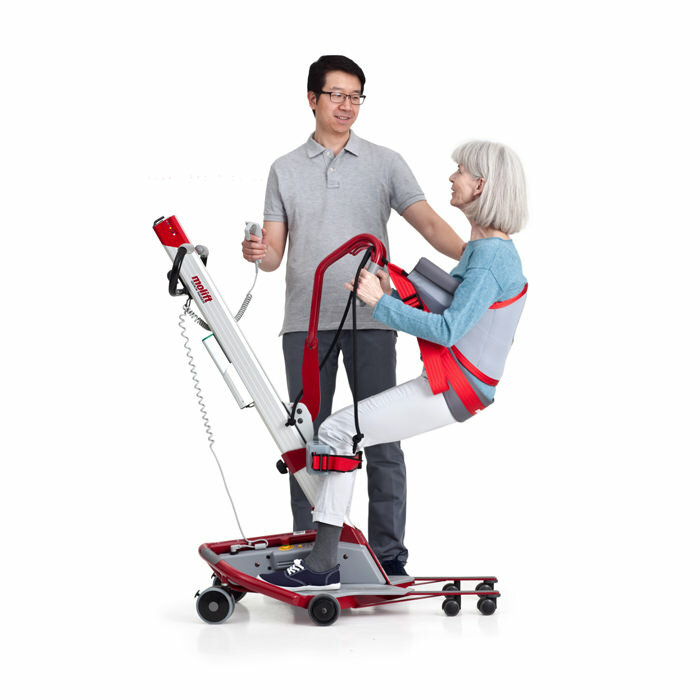 Molift Quick Raiser 1 stand-up patient lift is stable and easy to maneuver by virtue of its compact design and low weight. 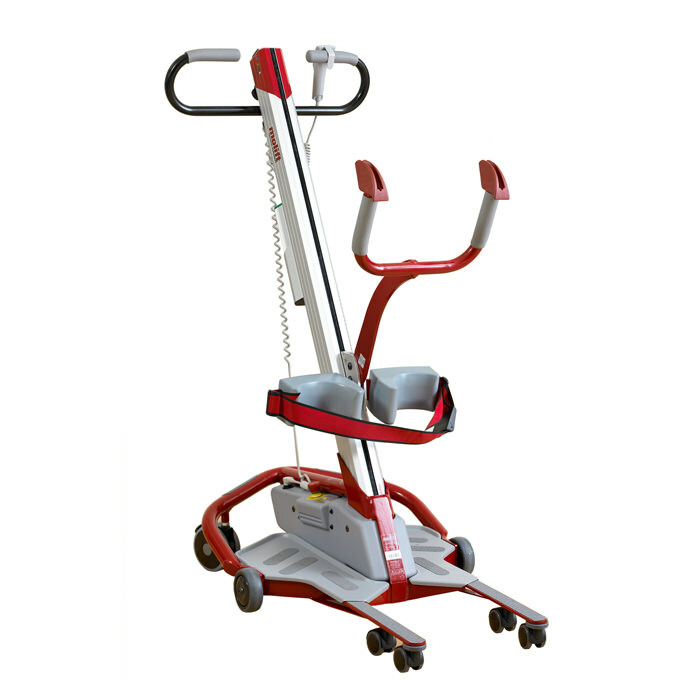 Molift Quick Raiser 1 has a unique wheel position and near perfect weight distribution of the base which provides a small turning radius with easy maneuverability even in narrow spaces. 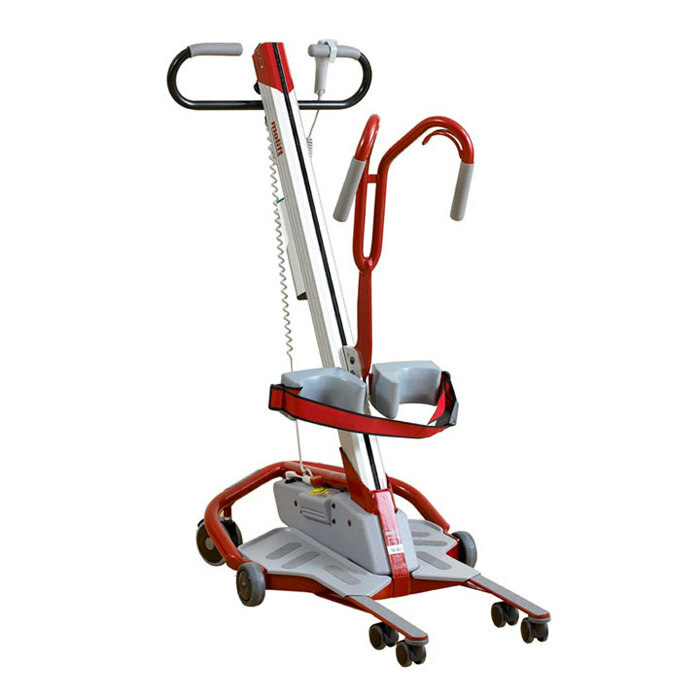 Molift Quick Raiser 1 lift has a safe working load of 352 lbs. with the extra low base (2.8") and narrow front (13.5"). 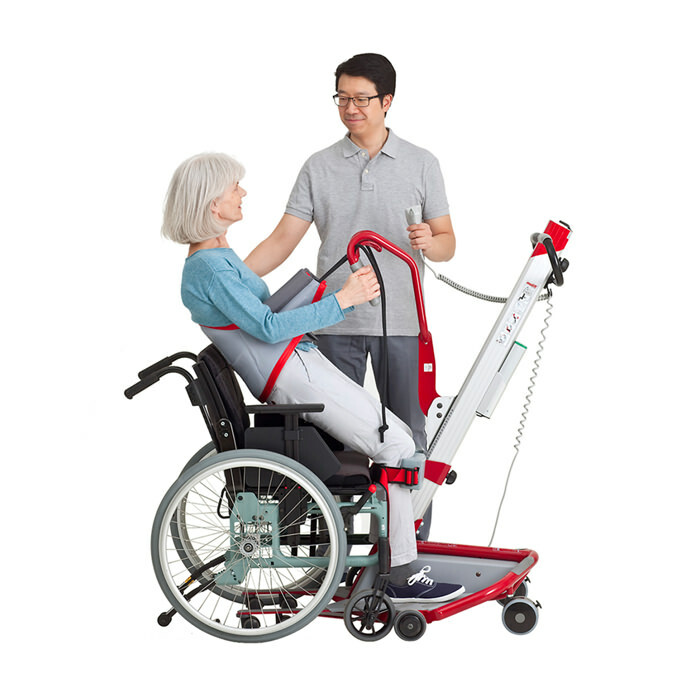 Quick Raiser 1 fits well around toilets, under most beds, chairs and wheelchairs and is designed to cover the need for lifting and transfer of patients who are to some extent capable to actively participate in the process. 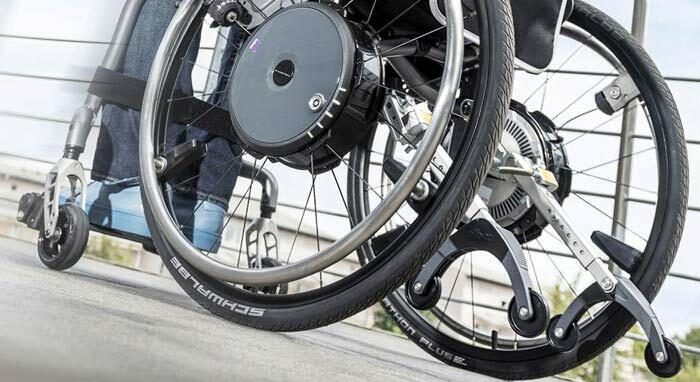 Quick Raiser 1 lifter has an exceptional design and the shape of the lifter and geometry of the lifting movement which imitates the natural pattern of movement of a person.